“Training on social inclusion/social protection"
Europe 2020 is the EU’s growth strategy aiming to turn the EU into a smart, sustainable, and inclusive economy. The strategy is based on a reinforced interaction between economic, employment, and social policies and objectives in order to achieve its 5 headline targets on employment, innovation, education, social inclusion, and climate/energy. Inclusive growth and a cohesive society are a fundamental priority for Europe which is why the European Commission launched in February 2013 it’s so called Social Investment Package. The package is a policy agenda that advises Member States to undertake more investment in human capital to make European citizens more productive and better prepared for possible mishaps in life such as unemployment, family disruption and loss of health. In this context the European Commission has given a framework contract to EIPA under the PROGRESS program to organize training sessions for the staff of national, regional and local administrations and staff employed within the social partners' organization or NGOs who are working in the areas of social inclusion/social protection, as well as the staff of the Commission. This training programme aims at providing participants, based on their needs, a global understanding of the EU policies, objectives, and indicators on social inclusion and social protection. It also promotes an effective mainstreaming of EU social values and objectives in both national and EU policies. The seminars are designed primarily for national and local officials coming from a range of government departments and ministries as well as the regional and municipal levels responsible for the implementation of the European Social Fund (ESF) either as Managing Authorities or as ESF project promoters. Other envisaged participants are academics and NGOs and the national members of the Social Protection Committees (SPC). The participants will be informed about the Commission Social Investment Package, the Recommendation, as well as of best practices in the Member States. 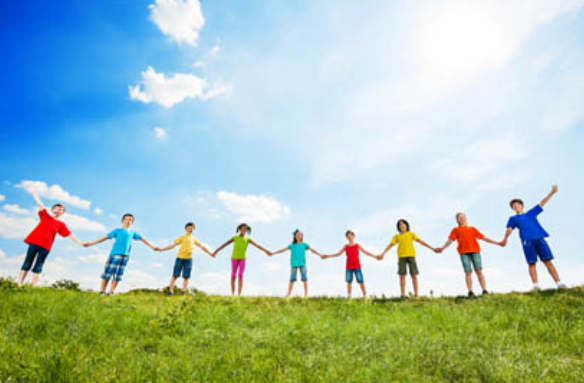 In February 2013 the European Commission adopted the Recommendation “Investing in Children- breaking the cycle of disadvantage” (REC) as part of the Social Investment Package. The Recommendation recalls that investment in children is not only a fair but also a cost efficient approach, contributing to long term growth. It invites Member States to step up their efforts and grasp opportunities provided by EU instruments. The seminars will highlight recent policy developments, the main EU instruments which can support the Member States in delivering reforms as well as present ESIF projects from various Member States. The main objective will be to raise awareness, to promote the exchange of good practices and knowledge, as well as to foster effective partnerships among relevant actors while providing a space for Managing Authorities to discuss lessons from the past and how to move forward in the new programming period 2014-2020.